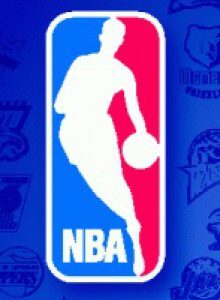 Free Agency has been underway for some time now, but there are still many great players available. Champions and former all-stars like Pau Gasol and David Lee remain unsigned, so too are high upside younger players with a successful track record in various starting line-ups like Mason Plumlee, JaMychal Green, and Nerlens Noel. It will be interesting to see where these players end up, but it is shocking that they haven’t been signed yet. Pau Gasol could contribute to just about any team with his great sk illset of scoring, shooting, passing, and his 7’0″ size. The Spurs, however, just make the best fit. Since joining San Antonio last offseason, the Spaniard averaged 17.5 points, 11.1 rebounds, 3.3 assists, and even 1.2 threes per 36 minutes on 50.2% shooting and 53.8% from three. The Spurs outscored their opponents by 3.1 points per 100 possessions with Gasol in the game compared to getting outscored by 1.3 points without Gasol. With a new wealth of perimeter talent in Rudy Gay, Derrick White, Jaron Blossomgame, Brandon Paul, and Patty Mills re-signed, getting Gasol back is critical with Dewayne Dedmon’s departure for the Spurs. This would be one of the furthest things from fair, but no other team is better structured to utilize Mason Plumlee than Golden State. Plumlee is a great center who’s produced at above average levels each of the past two seasons with 12.1 combined win shares (.138 per 48 minutes.) His playing style of being a mobile center who passes (3.1 assists per game since 2015) and screens very well would do wonders for the already imposing Warriors. Plumlee lacks an edge among the competitive center market with higher upside players like Nerlens Noel and Alex Len still available and Pau Gasol likely willing to take a pay cut, but if Plumlee showcases his perfect complimentary skills on Golden State, he could seek the big money next summer that no team seems to be offering this go around. Atlanta recently let go of eight different players from last year’s team including Dwight Howard and Paul Millsap. Replacing Howard with Dewayne Dedmon was an excellent choice, but they have yet to find a clear replacement for Millsap. Ersan Ilyasova and John Collins won’t create the defensively sound line-up Green would with Dedmon, Taurean Prince, Kent Bazemore, and Dennis Schroeder if he were to be signed. David Lee is coming off a season that was his best since 2013-14, and he did so at the age of 33. Lee is a highly skilled front court player and there are few better options of players who can put the ball in the basket efficiently at his efficiency and volume (7.3 points, 18.7 minutes, 59.0% shooting.) In fact the only players since 1984 to match that scoring and field goal percentage in as few minutes per game in over 65 games played for a season (Lee played 79) are Nene this season and Mason Plumlee in 2013-14. Houston is a prime fit for Lee because they need high production guys on cheap contracts with great money allocated to Chris Paul, James Harden, and Carmelo Anthony soon. Lee played on a veterans minimum deal last season, and there’s no reason it won’t happen again with another year of wear and tear under his belt. Lee also has experience playing with coach Mike D’Antoni in New York, where Lee was an all-star his final season there on averages of 20.2 points, 11.7 rebounds, and 3.6 assists per game. Marreese Speights had another great season of offensive production as he played all 82 games, but Speights changed his game up completely. After a previous career high of 13.6%, Speights took 50.5% of his field goal attempts from behind the three point line. 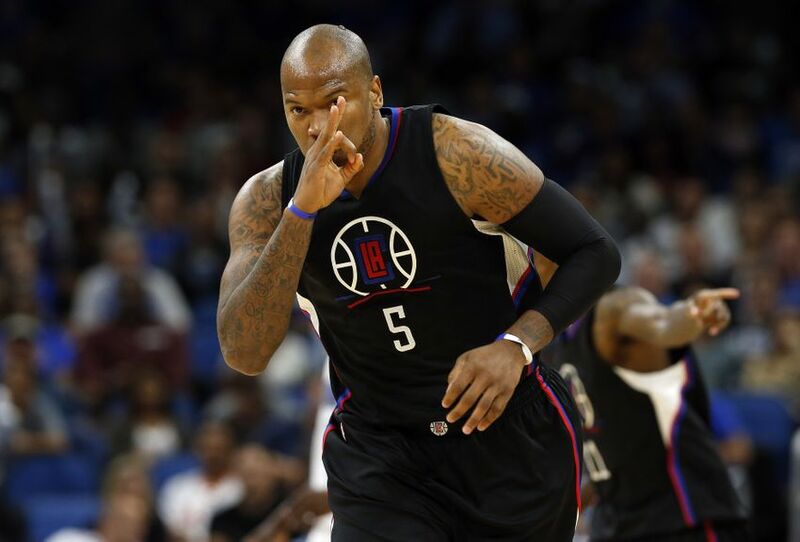 Speights also made a career high 87.6% of his free throws, and he averaged 19.9 points per 36 minutes. Speights was one of only 19 NBA players last season to score that many points per 36 minutes, play a full-ish season (65 games and 1000 minutes,) and have a true shooting percentage of 58.4. The only non-all-stars on that list were Damian Lillard, Mike Conley, Nikola Jokic, Bradley Beal, C.J. McCollum, Lou Williams, and Enes Kanter. Memphis could definitely use the cheap offensive production now that JaMychal Green and Zach Randolph are gone from the front court. Speights also has experience on this team. He played 100 games for Memphis, starting 56 of them, and was effective. Nerlens Noel showed great promise as a rim protector and runner this season. Noel improved his per possession marks to 1.19 points produced and 1.02 points given up defensively. Noel is just 23 years old, so it is in Dallas’ best interest to retain the restricted free agent they gave up Justin Anderson, Andrew Bogut, and Jawun Evans to acquire. Noel is ideal in the current NBA for his ability to dominate in many different areas of the game. No other NBA player averaged over one steal and one block per game with Noel’s field goal percentage. Dallas has a lot of good pieces in Seth Curry, Dennis Smith Jr., Yogi Ferrell, Wesley Matthews, J.J. Barea, Harrison Barnes, Dwight Powell, Salah Mejri, and Dirk Nowitzki. All of those players are contributing now or have the upside to contribute in the future. Noel is the rim protector to help accelerate the Dallas rebuild. Nikola Mirotic has been the most frustrating Chicago Bull since joining the team in 2014. After trading for Mirotic on Draft Night in 2011, Bulls fans waited three more seasons after that night before they got to see Mirotic in the NBA. Since joining the Bulls, however, the former Euroleague-MVP has had one of the most up and down experiences in the league. Mirotic thrived as a role player in his rookie season – getting 5.7 win shares and not missing a game in 2014-15, but followed up the regular season with 30.3% shooting in the playoffs and 23.3% from three. Since then, Mirotic has been in and out of the rotation, starting and coming off the bench in both forward spots. No matter what the opinion of Mirotic in general is, it is safe to say Mirotic was never better than he was playing for Tom Thibodeau. On Minnesota, Mirotic can again. Adding Mirotic to a big man rotation that already includes Karl-Anthony Towns, Gorgui Dieng, and Taj Gibson creates a low pressure role for Mirotic in which he can thrive as a shooter and spacer. Ty Lawson declined rapidly in 2015 after a string of DUIs. The speedy point guard who got an MVP vote in 2013 fell out of favor early in Houston during the 2015-16 season to the point where he was benched, but Lawson regained some of his footing last season behind 9.9 points, 4.8 assists, and 1.1 steals per game on 45.4% shooting as Darren Collison’s back-up in Sacramento. No team is looking for a bench improvement for next season more than Washington, who’s bench cost them an Eastern Conference Finals appearance after a hard fought seven game series with Boston. Washington is a fast team, so who better to back up the arguably fastest player in the league John Wall with a notably fast player with ties to the general area (born in Maryland, went to high school in Virginia, went to college at UNC)? This might be a head scratcher: why would a rebuilding team want a championship player like Mbah a Moute? Even rebuilding teams need strong veteran influences. Mbah a Moute is going to be the perfect compliment no matter who is on the floor for Chicago. Regardless of whether Mbah a Moute’s 39.1% from three last season is fluky, he is still a better three point shooter than anyone else on the Bulls, who’s best three point shooter of the personnel retained is Jerian Grant and his 36.6% shooting. Defensively, Mbah a Moute can guard taller forwards that Denzel Valentine and Justin Holiday can’t guard as well as quicker fours Lauri Markannen and Bobby Portis can’t guard. If and when the Bulls buy-out Dwyane Wade, Robin Lopez will be the oldest player on the team at age 29, and only Lopez and Justin Holiday will be above 25 years old. 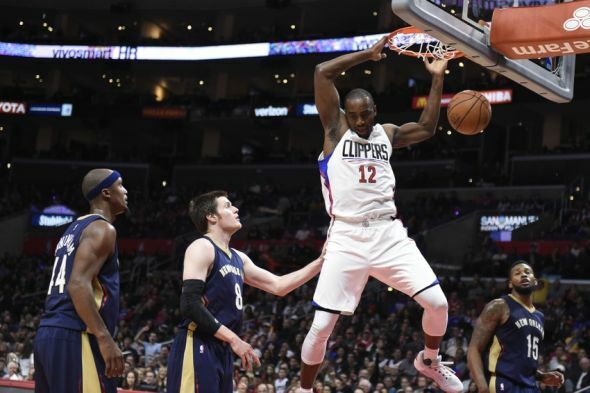 The team needs some veterans, and the Bulls could learn a lot from a player like Mbah a Moute. Tony Allen appears to be on his way out of Memphis after long-time teammate of his Zach Randolph and Vince Carter left Tennessee for Sacramento a few weeks ago. The Grizzlies also invested what limited money they had in perimeter players like Ben McLemore, Wayne Selden, and Tyreke Evans. Allen is coming off a season in which despite being 35, he set a career high in minutes per game (27.0) and rebounds per game (5.5). No place seems more fitting than the Los Angeles Clippers, who would love to have Lou Williams come off the bench (now that J.J. Redick is gone.) Also, Allen played for Head Coach and President of Basketball Operations Doc Rivers in Boston. Patrick Beverley and Tony Allen would be a menacing defensive back-court, and Allen can play the small-ball three as well. Derrick Rose will never return to MVP form. Since the MVP season, Rose has appeared in just 230 out of a possible 492 games, and those games can be properly described as a showing of Rose’s significantly decreased confidence, athleticism, defensive effort, shot selection, and positive attitude. Still, 18.0 points per game on 47.1% shooting is eye-catching, and it why Derrick Rose will make an ideal back-up point guard. Oklahoma City has the reigning MVP Russell Westbrook. When Westbrook plays, the team thrived. When Westbrook sat, the Thunder were hopeless. The team had no offense when Westbrook sat. When Westbrook was on the court against Houston, the Thunder outscored them 2.7 points per 100 possessions, but when he sat, Oklahoma City was outscored by 60.1 points per 100 possessions. That is not a typo. Houston won the series in six games – entirely because the Thunder chose to give Westbrook a breather for just 9.2 minutes per game. Rest won’t be as costly for Oklahoma City with Rose ready on the pine. Alex Len has had a very forgettable beginning to his NBA career. Phoenix hasn’t been significant during his duration on the Suns. He’s made arguably small improvements every season to now, averaging 8.0 points, 6.6 rebounds, and 1.3 blocks per game on 49.7% shooting. The Suns seem ready to move on from Len, however, as they have Tyson Chandler, Alan Williams, and Dragan Bender all playing the five spot for Phoenix. Len does have his shot blocking ability going for him, however, with top-five finishes in the NBA in block percentage each of the past two seasons (5.1%, 3rd in 2016-17). Detroit could be exactly what Len needs, and Len can be exactly what Detroit needs. With Aron Baynes headed to Boston, the back-up center to an already open-to-be-traded Andre Drummond is project Boban Marjanovic. Drummond plays under 30 minutes per game, and he could be rested more should Len join the team. Marcin Gortat began his NBA career backing up Dwight Howard in a Stan Van Gundy system, Len could do the exact same as he attempts to redefine his.